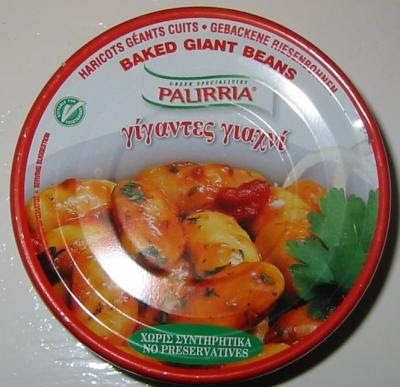 Hands up who likes those really big Greek beans that come in tins and bottles in a rich oily sauce? We love them and although we can recreate most of the dish with homegrown crops the sheer size of the main ingredient, the beans, has been beyond our reach. None of the french or runner beans we knew of produce large enough seeds and so we tried to grow lima beans on the allotment. The plants were wonderfully vigorous and healthy but they didn't start to pod until the very end of the season and none of the beans matured sufficiently to be of use. Various commercial Greek bean producers therefore continue to get our business. However, when I was idly catching up with the excellent Daughter of the Soil there was a mention (and a picture!) of some beans that might just work for us. The beans are these "Butterbean Fagiolo Di Spagna" from Seeds of Italy. If they will grow for Rebsie in Cheltenham, particularly in the crap weather they had there last year, they will surely grow for us in Normandy. Well, I would hope so. And so there I was, on another seed seller's site with my credit card out! The minimum P&P is £1.50 so it seemed only sensible to take a few more packets while I was there. And the item that caught my eye was something they call Scuplit. It's in the herbs section and is said to be good for cooking with eggs and risotto or used in salads. So I had to have it. Order made, I then decided to research what I'd bought. Scuplit is actually Silene Inflata, a close relative (some authorities claim it is the same plant) of our very own Bladder Campion, not a plant that I've ever seen mentioned with enthusiasm by writers about wild food. There is a nice picture of the plant at this russian site, scroll down to the bottom of the page and click on the pic to embiggen it but I can't translate the Russian for you. Also known as scupitin or grisolon the plant is apparently used in the cuisine of Northern Italy from the Piedmont to the Friuli-Venezia-Guila regions and also Malta. This site gives a very thorough treatment of the botany and uses. So, it's with excitment and somewhat warily that I'm looking forward to trying this new addition to the herby salad patch. I shall be on the lookout for wild plants to make comparisons with, since I've paid £1.59 for these seeds as well as postage and I'm hoping it will be worth it. Of course, Seeds of Italy have just had a couple of very positive write ups in the National Press so maybe they'll have sold out before they get to my order. Aren't plants great?